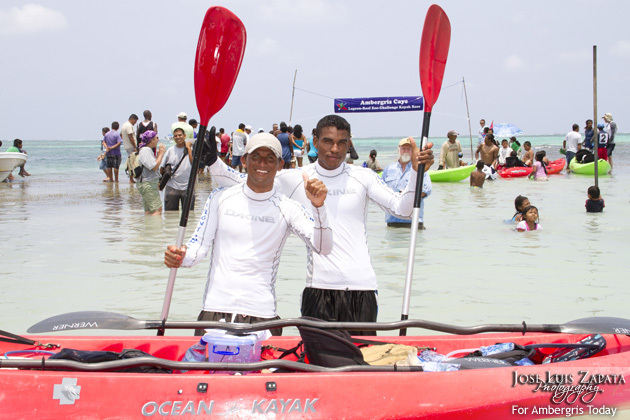 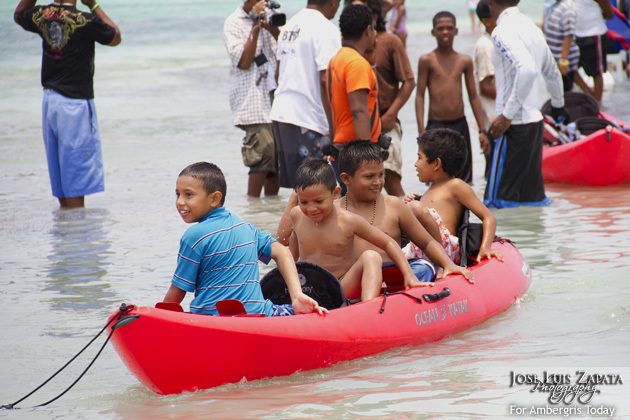 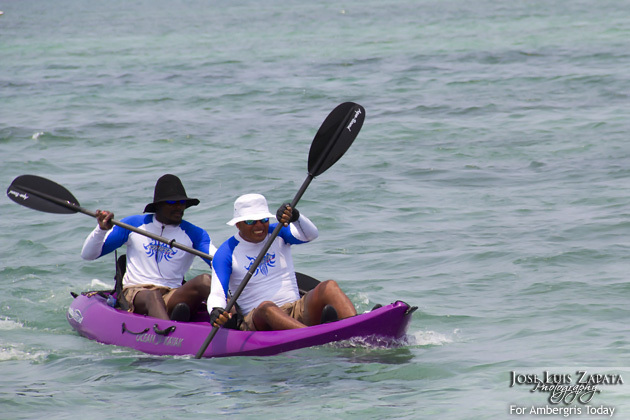 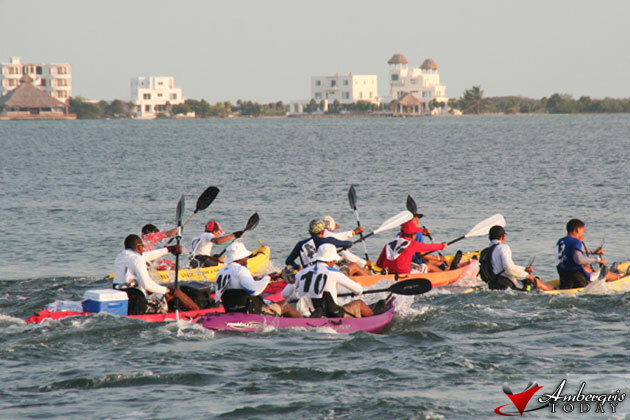 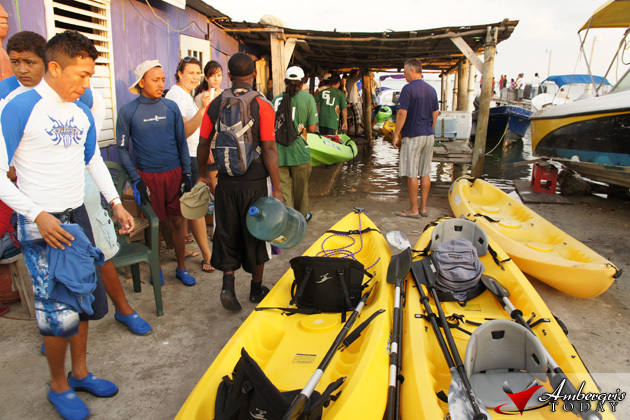 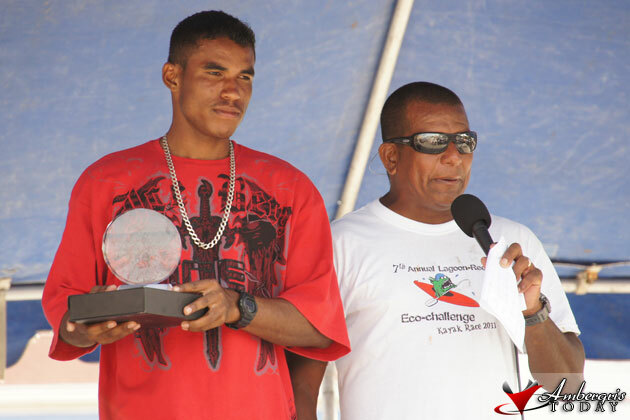 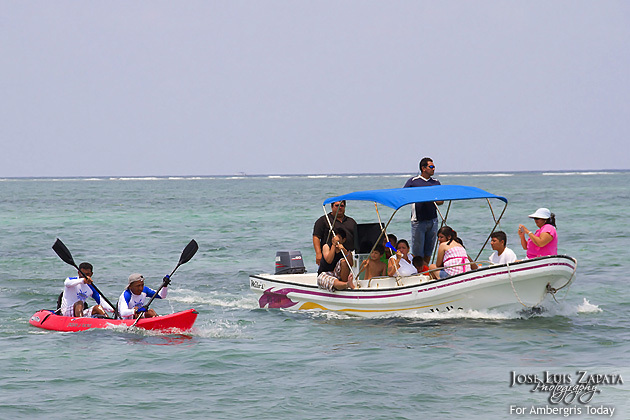 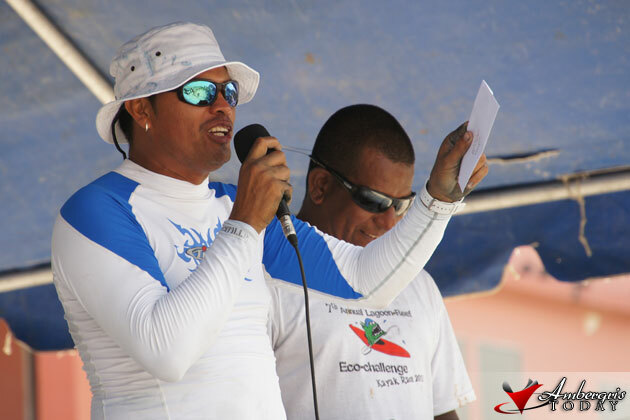 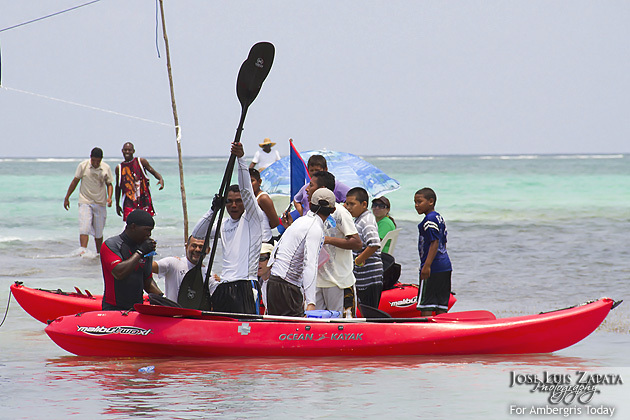 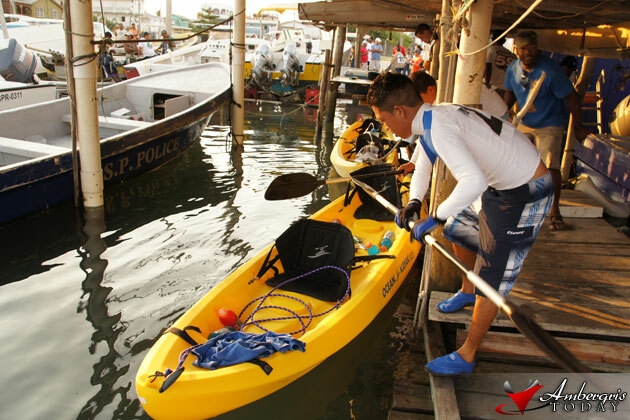 The title of Lagoon Reef Eco Challenge 2011 winner went to two Port of Honduras rangers from the Toledo District who today share the $3,000 cash prize and the bragging rights of besting 32 other teams in the gruesome two-day kayak race. 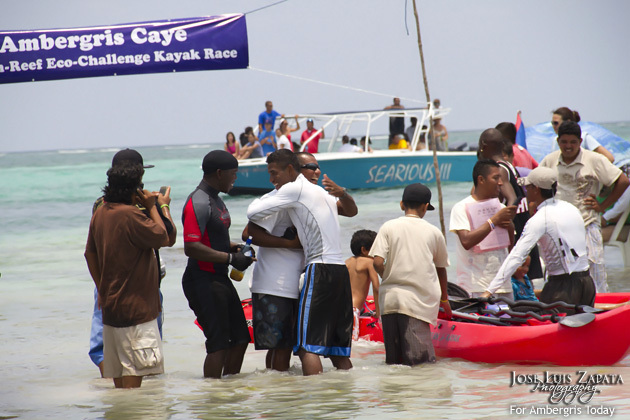 Team Sea Front Inn Jaguars, sponsored by Larry Smith, dominated the race from day one and it was clear that they were in the race to win it. 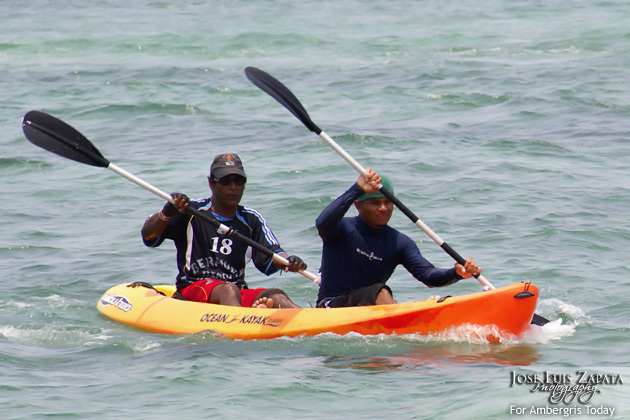 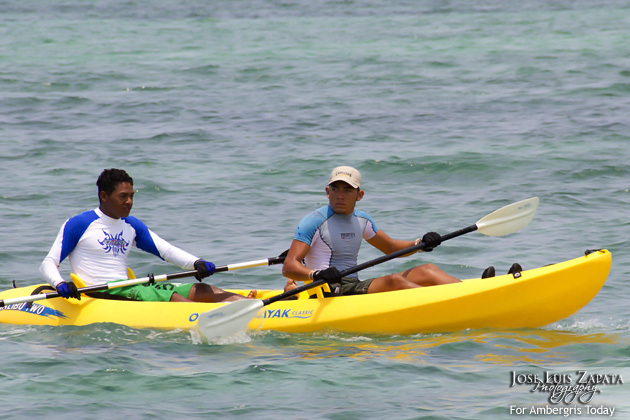 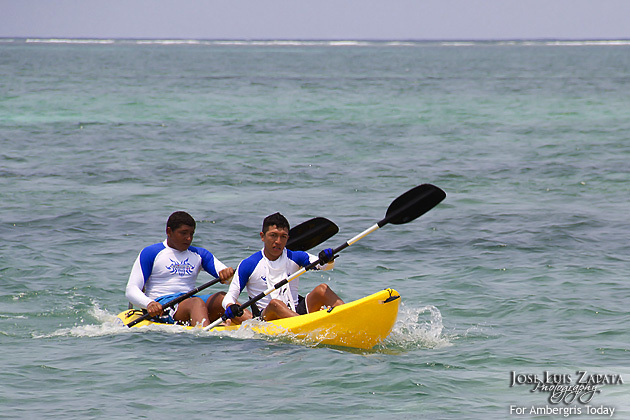 Carlos Ramirez and Godfrey Alford took the lead in day one of the race when the kayaks took off from the starting line lagoon side on Saturday, May 14, 2011. 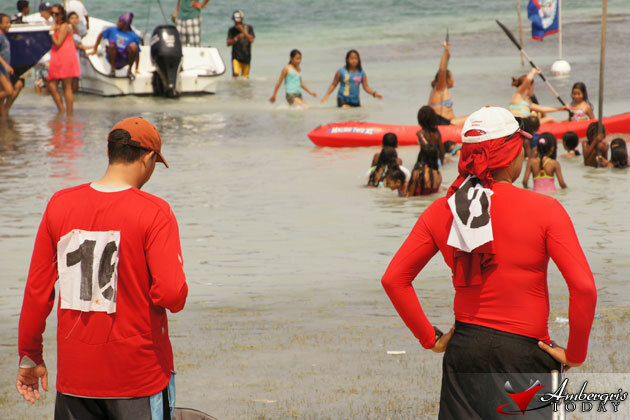 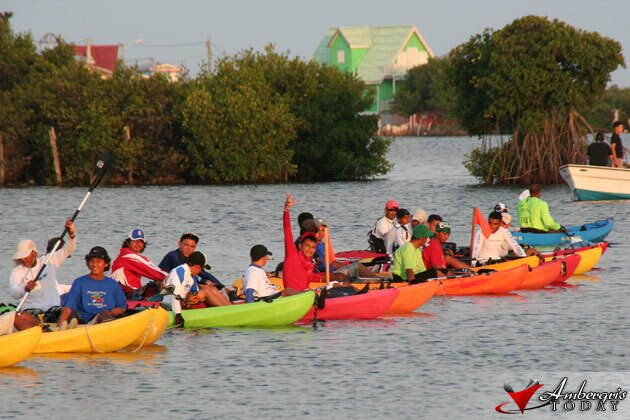 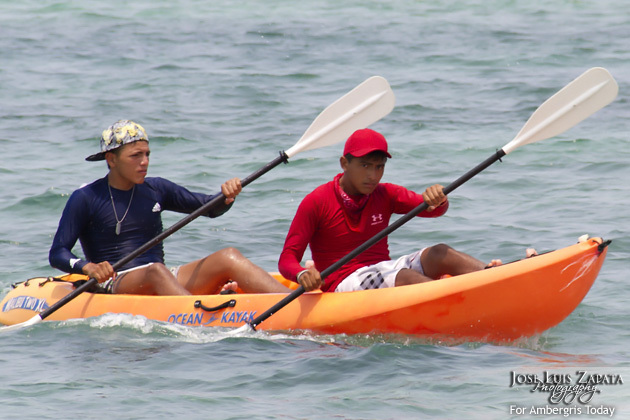 Once again, a large crowd gathered at the lagoon side to cheer for all the paddlers who took part in the grueling two-day challenge of kayaking around the northern part of the island and back to town the following day. 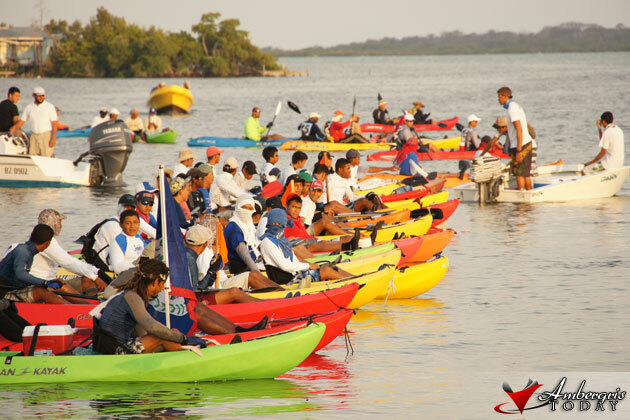 This year the race was marked by very young competitors, no female teams and two single paddlers; the race consisted of senior and junior amateur competitors. 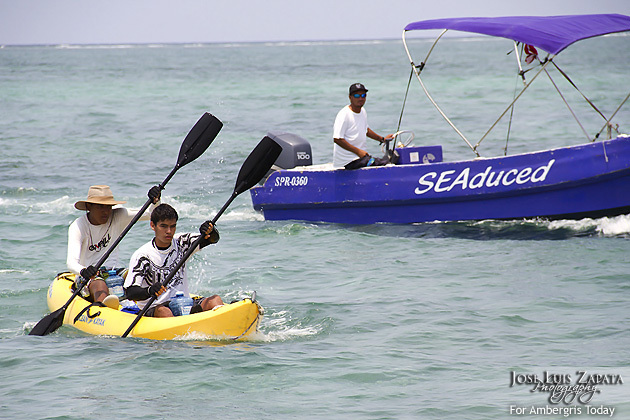 Team Sea Front Inn Jaguars was the first team to arrive at the midpoint station in Robles Point shortly after midday, awarding them the station prize of $400. 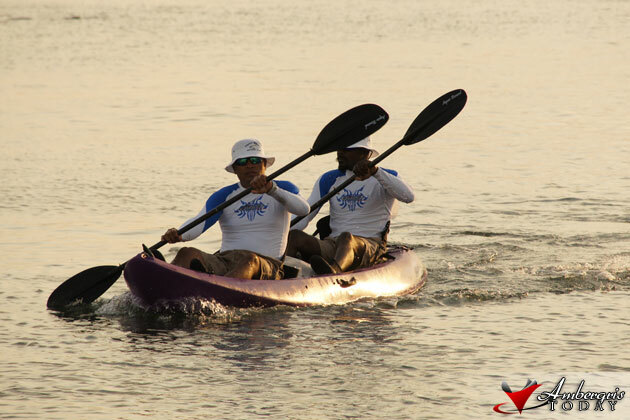 All the teams camped out overnight at this pit stop to rejuvenate their energies as they kicked off early next morning heading towards the finish line at Central Park. 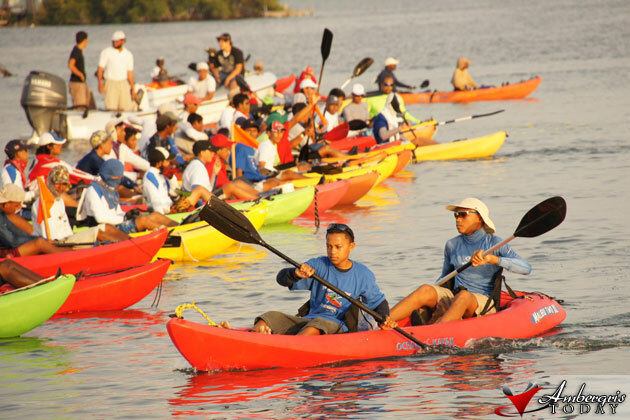 Hundreds of island residents were at the Central Park waiting for the paddlers to come in and cheered them on. 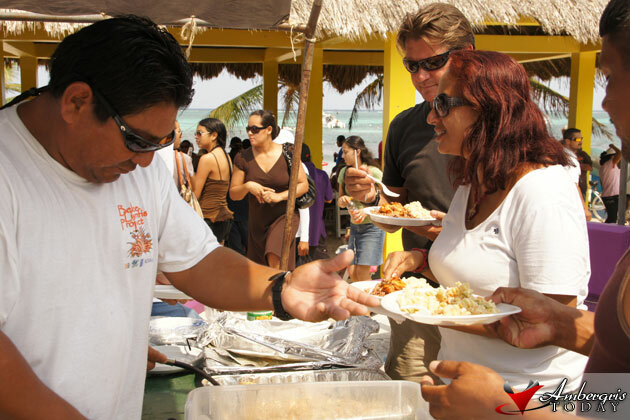 Great music was provided by DJ Habo and there were lots to eat and drink, even some free Lion Fish provided by the Hol Chan Marine Reserve. 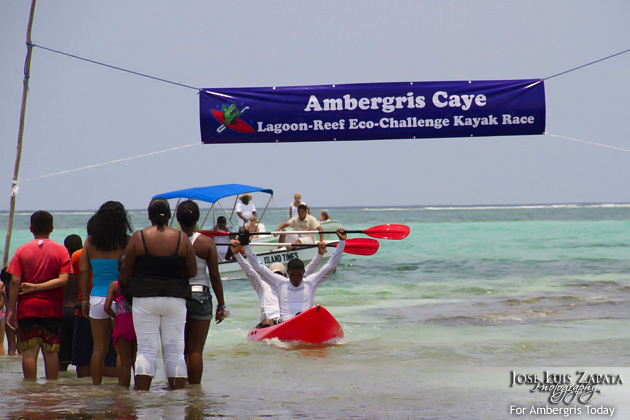 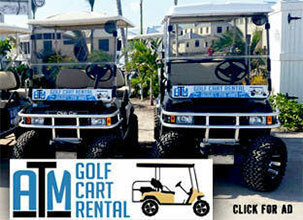 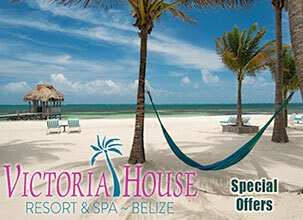 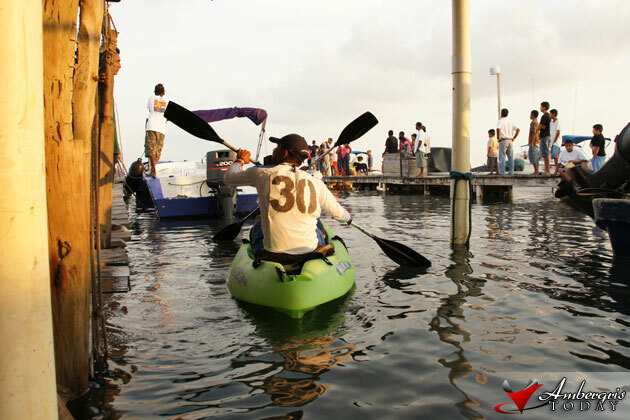 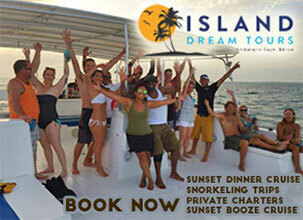 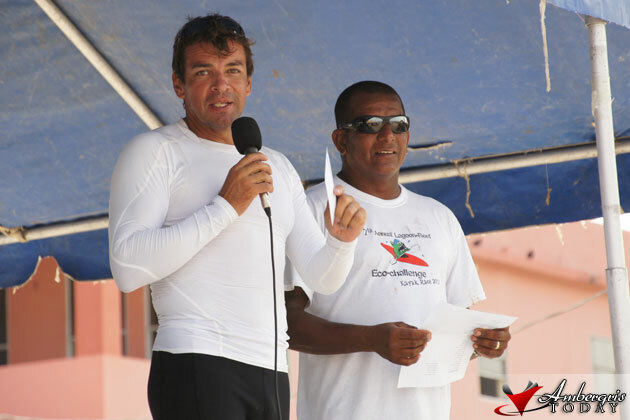 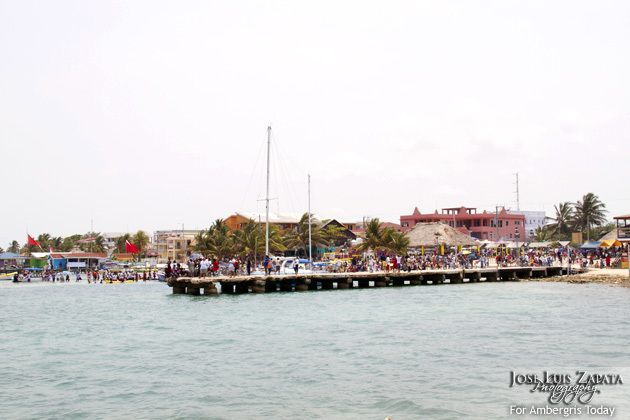 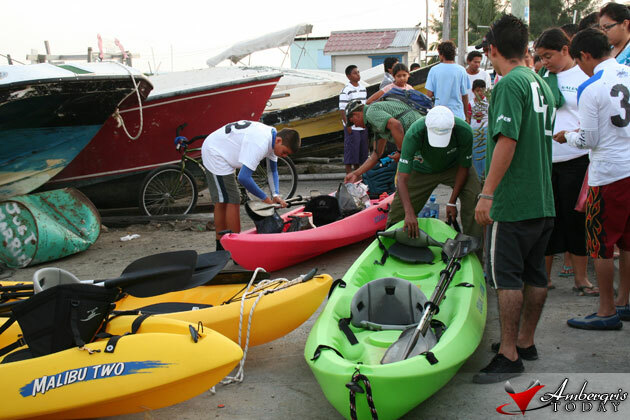 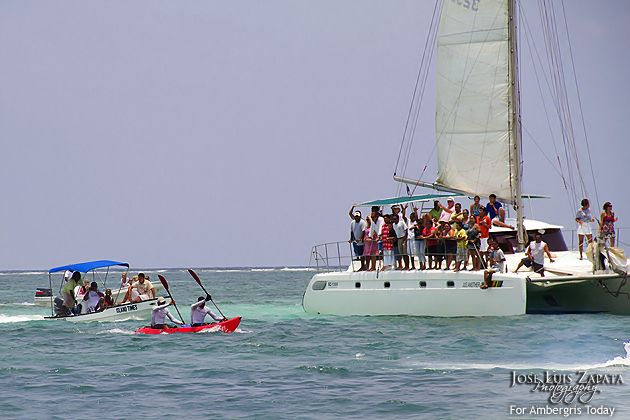 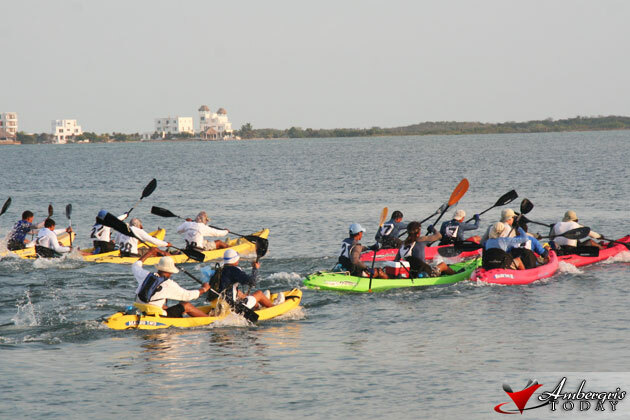 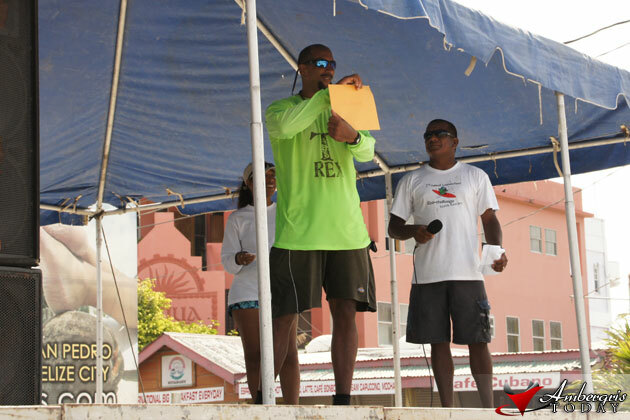 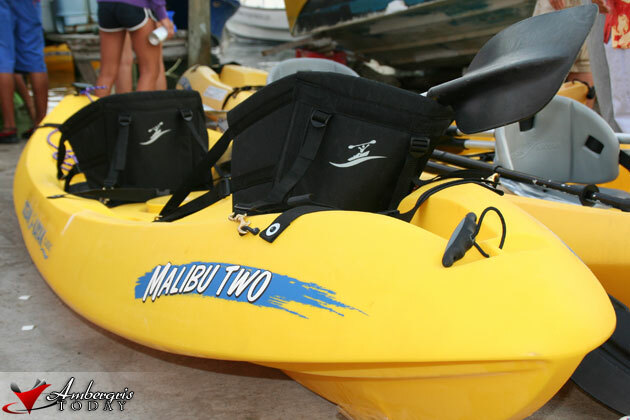 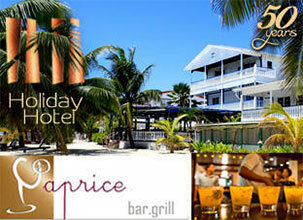 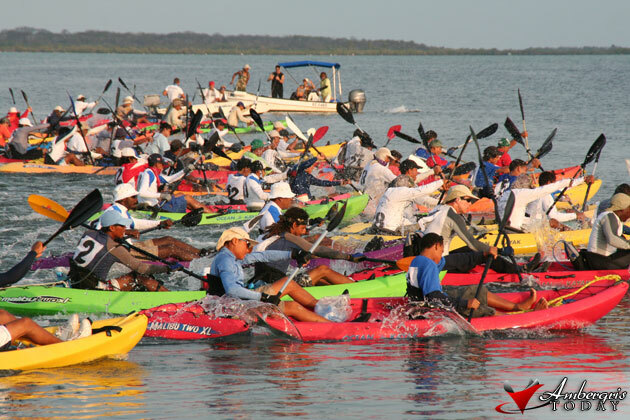 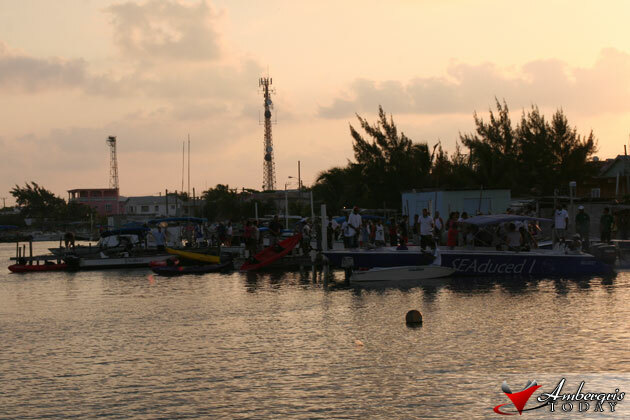 The seventh annual kayak race also kick-started Reef Week which included another Lion Fish tournament. 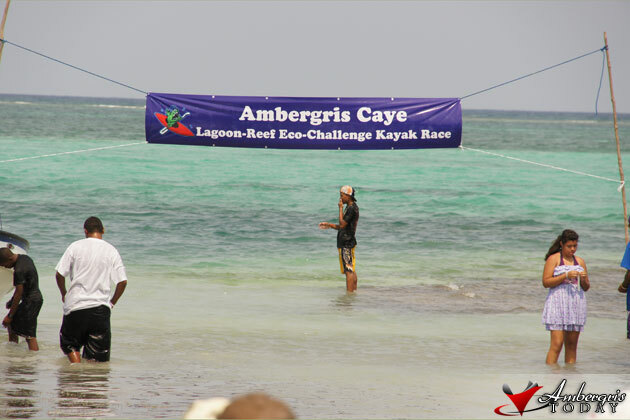 With much exhaustion all the teams made it to the finish line; but there were some drop outs. 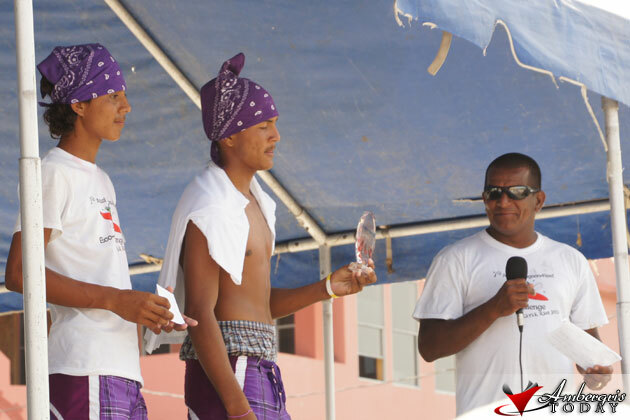 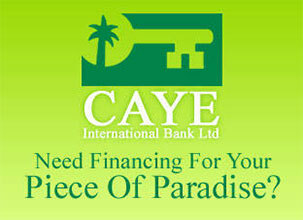 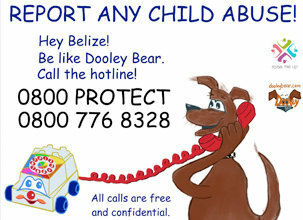 Congratulations to all teams who participated.